The ongoing story of how the battle to demolish an official Chicago landmark could set a precedent that makes destroying the city's classic buildings a whole lot easier. Scaffolding has gone up around the Farwell Building on Chicago's Michigan Avenue. Last month, the Commission on Chicago Landmarks voted down a proposal that would have seen the landmark's facades stripped, the building itself demolished, and the facades reassembled on a completely new building, all under the name of landmark protection. Is the scaffolding a ploy in a PR campaign to reverse that vote by persuading the public the building is so unsafe that demolition is the only solution? What's at stake, and how is it shaking down in Chicago's world of power politics? Two engineering studies have established that the Farwell's facades and the supports that connect them to the building's steel frame have grave problems. 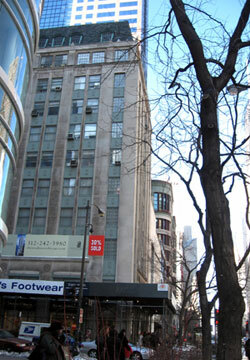 At no time, however, has anyone claimed that the structure of the Farwell Building, itself, is unsound - only the facades. 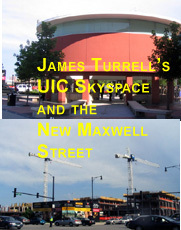 The debate over the facades, however valid, has become a smokescreen for the real issue surrounding the Farwell: Prism Development Corporation wants to demolish the Farwell, not because of problems with the facades, but because it is inconvenient. Prism is trying to build a new, 40-floor tower, the Ritz-Carlton Residences, on a site that is too small for it. "The issue we are dealing with," he said, "is a very small site. . . The Terra Museum, itself, not the building, is 4,500 square feet, so we're dealing with a very, very small floor plate. . . . The Ritz-Carlton Residences requires 30 large residences, so we had to go over the Terra site to accomplish that, because what was left [after setbacks along Michigan and Erie] was 3,500 square feet, was too small." Lagrange said that without the Farwell, only 15 cars could be squeezed onto each parking floor, "so we would have twelve floors of parking, very, very inefficent . . The cost would be twice, well more than twice" what it would be if Prism can demolish the Farwell, which would then allow for a total of 28 cars per floor. 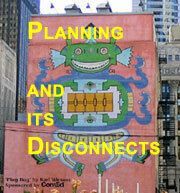 Rather than forcing Prism to keep its project to a size that can be accomodated on its small site, Chicago's Department of Planning is lobbying hard to demolish a legally protected landmark building just to give Prism more room for a project for which only 30% of the projected units have been sold to date. I've yet to see a total construction price for the proposed project, but the entry level price for its 86 residences starts at $1,250,000. If all 86 sold at that price, total revenue would be $107,000,000, but a more realistic estimate would probably be $150,000,000 on up. At the entry level, $1,250,000 divided by 1,370 square feet equals $912 per square foot. That puts the Ritz-Carlton Residences in the rarefied, Trump Tower stratosphere, among the most expensive housing ever created in the City of Chicago. If Prism, considering its extremely deep pockets, is allowed to demolish the Farwell on the basis of economic hardship, every developer with a project priced at less than $900 a square foot - which is basically everybody - will be eligible to claim economic hardship whenever a designated landmark stands in the way. If the Farwell is demolished, it will set the clear precedent that landmarks preservation in Chicago is no longer about protecting buildings, but merely saving artifacts. Thursday, January 4th Update - In a vote that appeared to shock both city planners and preservationists, a proposal to strip the facade from the landmark Farwell building, store, repair and reassemble it on a new building, was today defeated in a close vote by the Commission on Chicago Landmarks. Read the update post here and then come back to read the original article below. Is landmarks preservation in Chicago going the way of the dinosaur? (January 2nd, 2007) We may only be starting to get a handle on 2007, but already the Commission on Chicago Landmarks is scheduled to take a Thursday vote that stands to reverse the results of decades of struggle, and leave all but a handful of Chicago's finest buildings open to demolition. Do I exaggerate? I wish that I were. Please read on. Yet that sentence carries the seed of the mass destruction of much of Chicago's most historic architecture. The Farwell Building is a designated landmark. Designed by architect Philip Maher, it is a beautiful, classically-styled, 1920's high-rise, clad in Indiana limestone, and engagingly ornamented in a mixture of French Revival and Art Deco styles. It's one of the last survivors of the time when Michigan Avenue earned the nickname "Boul Mich" by being lined by restrained, neoclassical buildings of posh elegance and the highest standards of design. 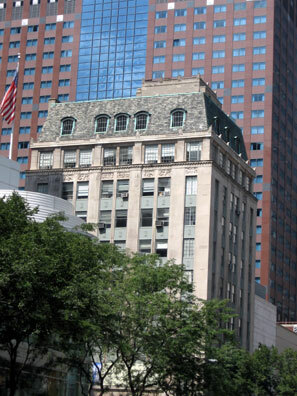 The Farwell's new owner is Prism Development Company, which plans to erect The Ritz-Carlton Residences, a 40 story tower designed by architect Lucien Lagrange containing just 86 high-end residences, on Michigan Avenue just north of the Farwell. At the time the Farwell was being considered for landmark status, concessions were made to allow for adjustments to some of the street-level bays to accomodate contemporary uses. For Prism, that was chump change. Here's what they really want. They want to erect a parking garage for the Residences on Michigan Avenue. Let me repeat that for emphasis: they want to make one of the world's premier shopping streets a back alley for a parking garage. But why stop there? They want to erect their parking garage where the Farwell now stands. They intend to demolish the Farwell, a legally protected landmark, erect a new parking garage, and then re-assemble the Farwell's severed skin over the new building. Prism gets its garage. The dead Farwell's facades are deployed as camouflage. The Landmarks Commission keeps the Farwell on its roster as if nothing has happened. Everyone wins - only the city and it's architecture dies. As horrific as this proposal is, its future implications are worse still. It sets a precedent that makes most of the city's landmarks easily dispensible. All it takes is a developer waving a big bankroll who knows his or her way through Chicago's cloutstream. Save the fragments. Smash the landmark. Paste the fragments back on again. Once the Farwell's death warrant is signed, developers will begin circling city landmarks. As protected landmarks, the buildings fall too far short of a potential big payout to be an interesting investment. As potential knockdowns, they're compacted gold, just waiting to be crushed and extracted. Just walk down Michigan Avenue. Start with the Woman's Athletic Club, the Farwell's stately cousin, another official landmark, also designed by Maher, just a block to the south. Knock down the WAC, put a tower behind it , create a modern structure in place of the WAC and wallpaper it the WAC's facades. Burgeoning tax rolls, grateful, happy developers - WAC, WAC clone - same/same! Still other soaring new condo towers could be slid behind the skin of 333 North Michigan, or behind the London Guarantee across the street, facing off against Trump on the other side of the river. And think of all those all Chicago classics with their antiquated turn-of-the-century central light courts - the Marquette, or the Rookery. Engineer a cantilever over that great John Root, Frank Lloyd Wright atrium, backlight the skylight with floods, hollow out everything above, insert a tower, and voila - LaSalle Street becomes the Chicago's latest new residential hot spot. And since it's in the city's newest TIF district, the developers will probably even get a fat subsidy. Why is this wrong? The fact I even have to pose the question gives me the shakes. Reassembled fragments are not buildings; they're what you find lining the stairs of the Art Institute, pinned to the walls like butterflys to a board. Buildings are lived in. They are not a "perfected" Empire State Building, reassembled as a come-on to a Vegas casino. They are the past made flesh, corporeal entities. They resonate with the decades of human experience that has passed through them, putting us in touch with it, reassuring us that we are not stranded and alone in the treacherous, unstable present. There is no precedent for the Farwell proposal. When landmark designation for the 1870's McCarthy was stripped in the late 80's, the argument was that it stood on blighted ground, an obstacle to economic renewal, an argument undercut when the entire block - the infamous Block 37 - on which it stood remained a vacant dir patch or the next fifteen years. Last year, I wrote in support of the Legacy, which is preserving the facades of older Wabash avenue facades and demolishing the buildings behind them for a new tower. The differences between these projects and the Farwell proposal is marked. 1. 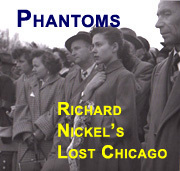 The buildings on Wabash were not, as was the Farwell, designated as individual landmarks, but as parts of the historic Jewelers Row district. 2. 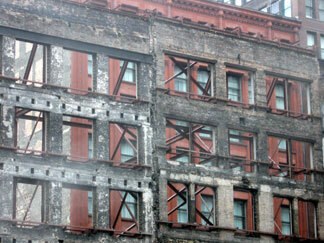 The Wabash street facades were the only facades for those structures, and were their only meritorious features. The interiors and other elevations were unremarkable - or worse. The Farwell, in contrast, is clearly a two-dimensional landmark, with rich elevations on both Michigan and Erie Streets. It is topped by a handsome Mansard roof. 3. 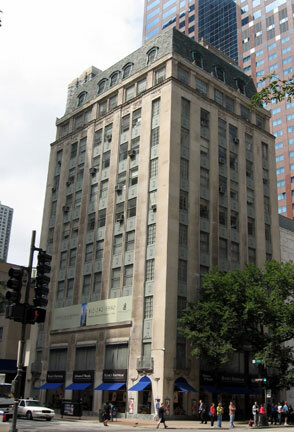 Both the site of the McCarthy and the Wabash avenue location of The Legacy were considered economically depressed areas. The Farwell sits on Michigan Avenue, one of the world's most prestigious streets, with the highest street-level rents in the city. Development on the street does not require subsidies of any kind. 4. 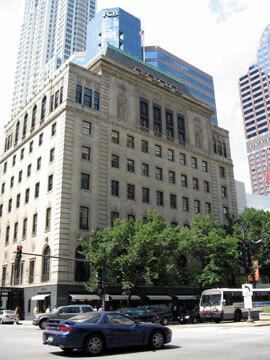 Although a similar facade reconstruction was done on the former McGraw Hill Building further south on Michigan Avenue, the building was not designated a landmark until after the reconstruction. The landmark comissioners and commission staff shouldn't kid themselves that, somehow, they'll be able to come up with pretty, fine-pointed arguments of difference that will keep what happens to Farwell from becoming the new norm. Once this Pandora is out of her box, the powerful attorney's who represent the big developers will fly her like a kite. They'll march into court and argue that if Prism was allowed to do it, stopping them from doing the same is actionable discrimination - and they'll be right. I can't speak about the three new commisioners that were appointed to the landmarks panel last fall, but I can say that the other commisioners whom I have observed over the past few years - people like architect Ben Weese, real estate legend John Baird, Museum of Industry President David Mosena and architectural historian Phyliss Ellin - are of people of diligence and conscience, no less than the dedicated staff at the commission that supports them. Which makes what I'm hearing - that the demolition of the Farwell is a done deal, and will pass with only token opposition - all the more inexplicable. Each commissioner voting on the Farwell proposal needs to be aware that they are not just voting on the fate of one building, but setting a precedent that will turn the clock backward and handcuff the city's power to protect its landmarks, probably for decades to come. In the process, the architectural heritage that has made Chicago famous throughout the world will be squandered and decimated in ways we can only begin to imagine. The Farwell proposal is on the agenda for the Commission on Chicago Landmarks meeting for this Thursday, January 4th. It will take place beginning at 12:45 P.M. in the Cook County Commission Board Room, 118 N. Clark. The choice couldn't be clearer. Will we continue to protect Chicago's extraordinary and irreplacable architecture, or we will settle for taxidermy and a Potemkin Village? © Copyright 2006 images and text Lynn Becker All rights reserved.